"Regno di Napoli". Orig. copper-engraving. Published by J. Blaeu in Amsterdam, 1659. Orig. old colouring. 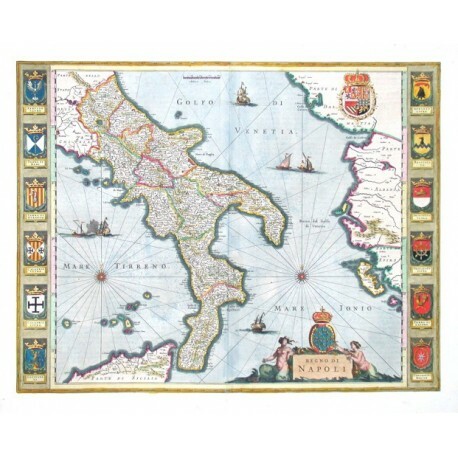 With figure title-cartouche with a coat-of-arms, 6 sailing ships, the scale of map ("Milliaria Italica"), great coat-of-arms in upper right corner and borders with regional coats-of-arms left and right. 38:50 cm (15 x 19 3/4 inch.). Koeman II, map 7400:2, ed. 2:641-2 (1659-1672 Spanish). 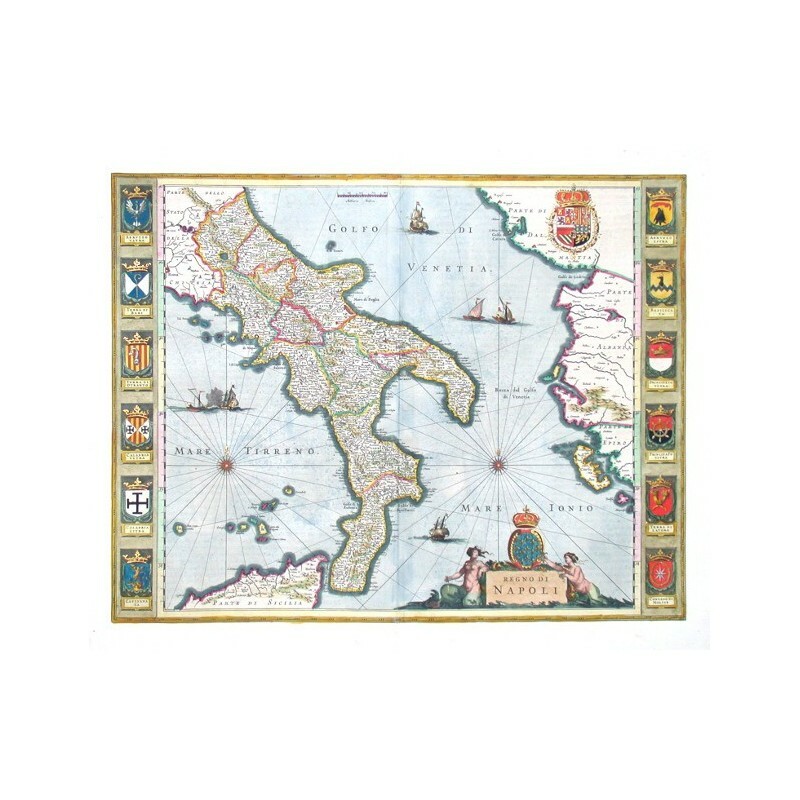 - A very decorative map of southern Italy from a luxury Spanish edition of Atlas Maior - colouring heightened with gold.